D.J. Services - Top Hit Tunes, Quality sound & lighting, dynamic voice & energy! 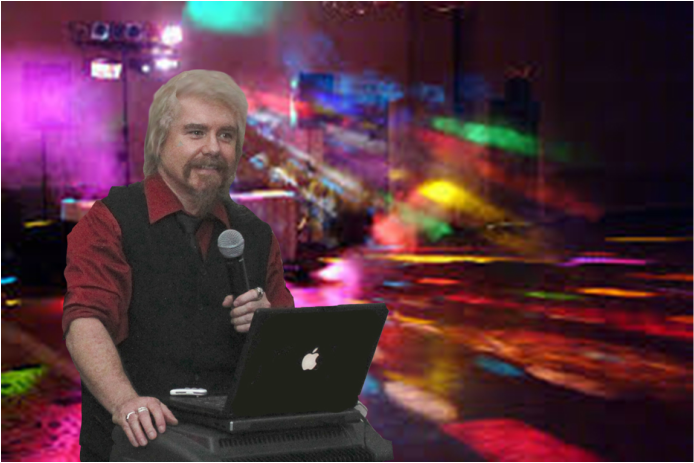 ﻿Why hire an ordinary D.J. Top Hit Tunes, Quality Sound, Dance Lighting, Dynamic Voice & Lots of Fun Energy! Games can be added, such as: Limbo, Name that TV theme song & more. D.J. C.J. engages everyone at your event! Are you looking for an evening of ENTERTAINMENT for your group? Then think OUTSIDE THE BOX! Add some of our other talents. Close Up Strolling Magic - Sophisticated card, coin & other routines mixed with quick wit. Magical Illusion Show - Award winning show of illusions, humor, music & live singing. Just a few of the Clients that D.J. C.J. has entertained. Most multiple of times.